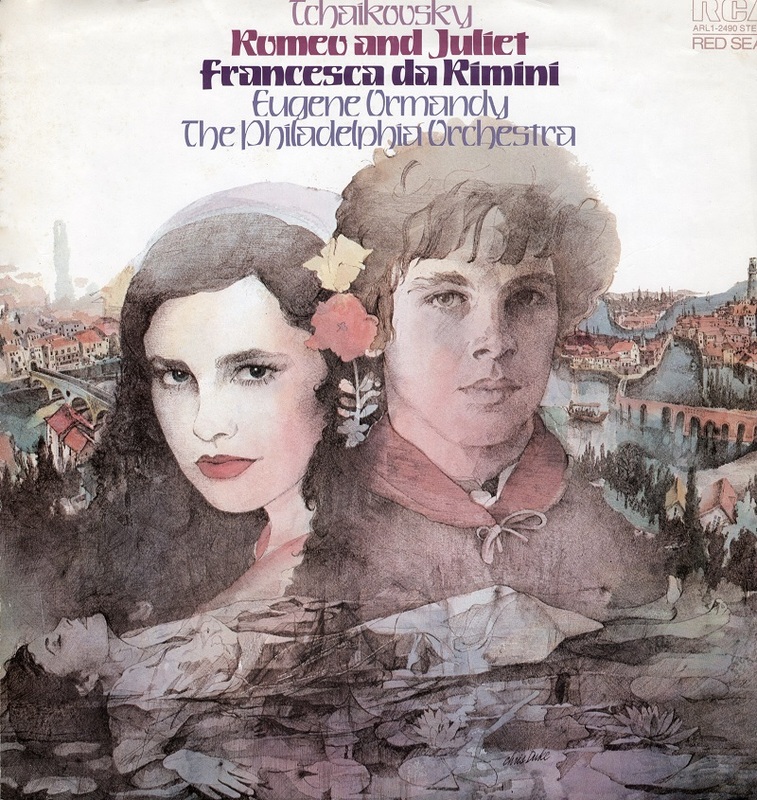 I asked a local teenager who was painting our barn that summer if he would pose as Romeo for this album cover of Tchaikovsky’s Romeo and Juliet and Francesca da Rimini by the Philadelphia Philharmonic. An earnest, shy young man, he took some convincing. In the art, I placed him next to a beguiling woman from the pages of Vogue magazine, though I changed her quite a bit. This young man had a timeless, classical look. I later illustrated him again as Mr. Darcy for the Franklin Library edition of Jane Austen’s Pride and Prejudice. This is my only album illustration. Record covers generally didn’t meet my agent's pay grade. That was fine, but I loved doing this art. It was 1977 and I was pregnant, which may account for the mysterious commotion indicated in the abdomen of the woman in the pool. I was very excited but only noticed that aspect to my art much later when I had a beautiful baby daughter and the art agency sent me a package of newly minted album covers. I posed for the woman in the water, reclining in my nine-month-old son's plastic pool. I am glad the photos got misplaced or lost. What we do for art! The Renaissance village was fun to invent – undertaken at 2 AM or so as I worked for a deadline.